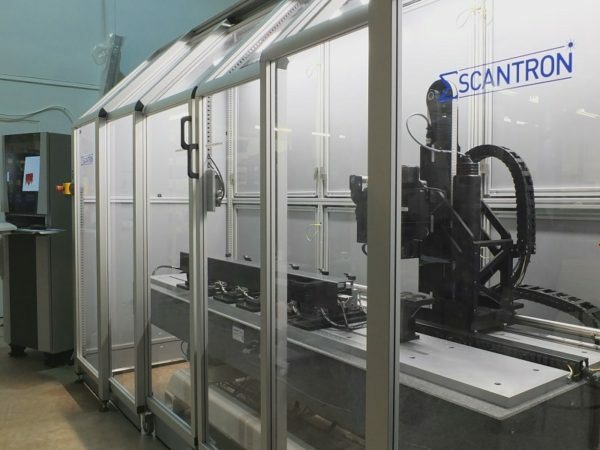 The Scantron Proscan DDMS (Defect Detection and Measurement System) represents a fully automated, machine-learning approach to identification and measurement of scratches, pits, pinholes and surface deformations to µm levels. It provides state-of-the-art automated smart defect detection, measurement and sentencing in one system. From scanning to reporting of data, each step is automated and repeatable. A cutting-edge vision system scans the surface with intelligent lighting, to identify the locations of the defects. These can be classified for severity based on operational parameters, whilst excluding ‘false flags’ from dust or swarf. Each defect is then measured for depth, width and volume with a high resolution sensor. Roughness and other surface parameters can also be measured in key areas, with real-time inspection possible while results are acquired. Based on the results and pass-fail criteria, the part is then sentenced based on the observed defects. 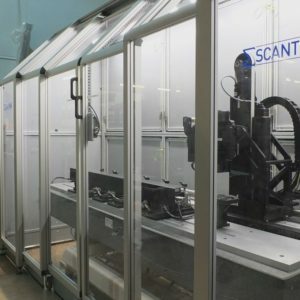 The Proscan DDMS system is backed by custom software, developed by Scantron to aid the user experience and facilitate the accurate, easy operation of the tool. There are a number of other solutions in the Proscan range and we are able to design and develop custom DDMS systems based on your exact requirements. Contact us for more information. The DDMS can be developed using the standard dimensions of the Proscan 2100 or Proscan Magnum architectures, or bespoke dimensions according to the range of product to be measured. The system is developed using granite tables and air bearings depending on the environment in which it is to be installed. The system can also be equipped with ultra-high speed measurement sensors depending on the characteristics and optical properties of the measured target. Scantron works hand-in-hand with the customer to develop a software protocol specific to their sample and defect type. Using line measurement technology, we can obtain hundreds of thousands of data points per second, allowing for 100% measurement of defects or surface quality many times more reliable and faster than a visual inspection. This ensures rapid return on investment and a step change in quality control capabilities. The extreme precision of the system can resist industrial environments, with air-bearings, granite tables and footings, full enclosures and acoustic dampeners all possible solutions to environmental disturbances. The intelligent defect location software also helps to eliminate false flags resulting from airborne contamination. Factory acceptance data has demonstrated perfect reproducibility with defect detection, and repeatability far below 1 µm in dimensional measurements. In many fields, visual inspection and comparison need to be carried out. This job can be dull and difficult with potential for user error. We eliminate the subjectivity by physically measuring and automatically grading defects to give operators the same answer time after time. We work with operators and quality engineers to tune the defect detection algorithm. This allows for the correct sensitivity to determine whether defects are considered in or out of tolerance.